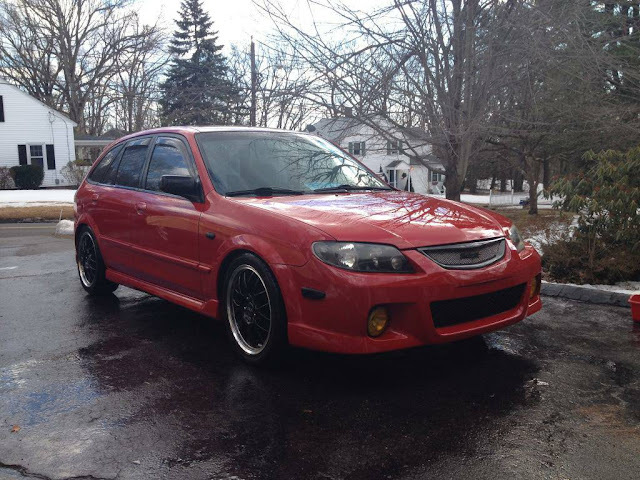 Last week's Sunday piece featured a unusually clean Mazdaspeed Protege. In the comments, it was bemoaned that Mazda never saw fit to give the Mazdaspeed treatment to the Protege 5 wagon. Nearly all car enthusiasts (DT readers included) share a common love of the station wagon. An enthusiastic Protege fan took it upon himself to create a more practical alternative to the MS Protege sedan. The seller is active on a Mazda forum and lists more information about the car than most any normal person will care to read about. 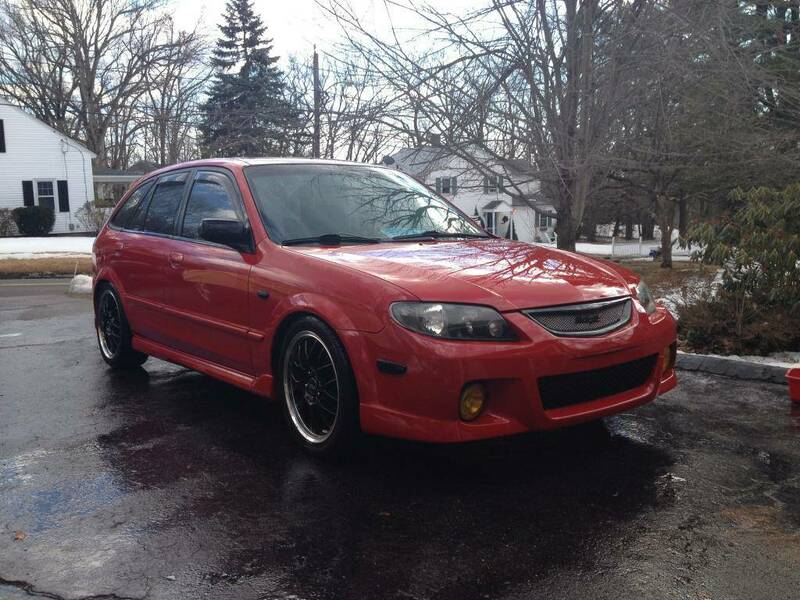 Find this 2003 Mazda Protege 5 for sale in Manchester, CT for $4,200 via craigslist. This swap is the sellers daily driver and has 140,000 miles on the chassis. The car is described as being tastefully modified and an excellent driver. The car has a few issues that are claimed to be simple and easy fixes (which begs the question as to why someone capable of swapping an engine would not take care of them). The Mazdaspeed engine is largely stock with the exception of a front mount intercooler versus OEM side mount and T28 turbo versus the OEM T25. 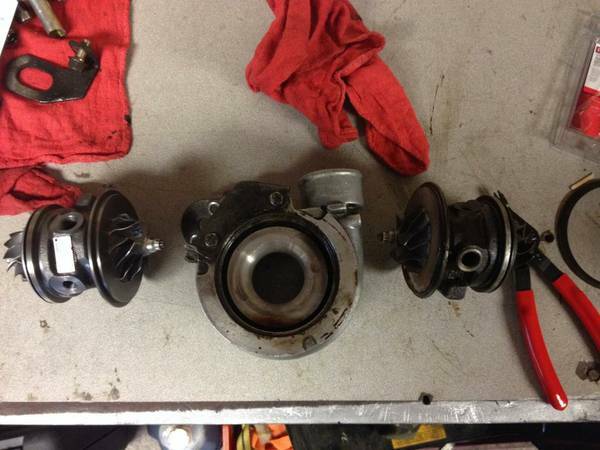 The 2.0 turbo engine is a ticking time bomb if you run over 10 psi without changing out to forged internals. 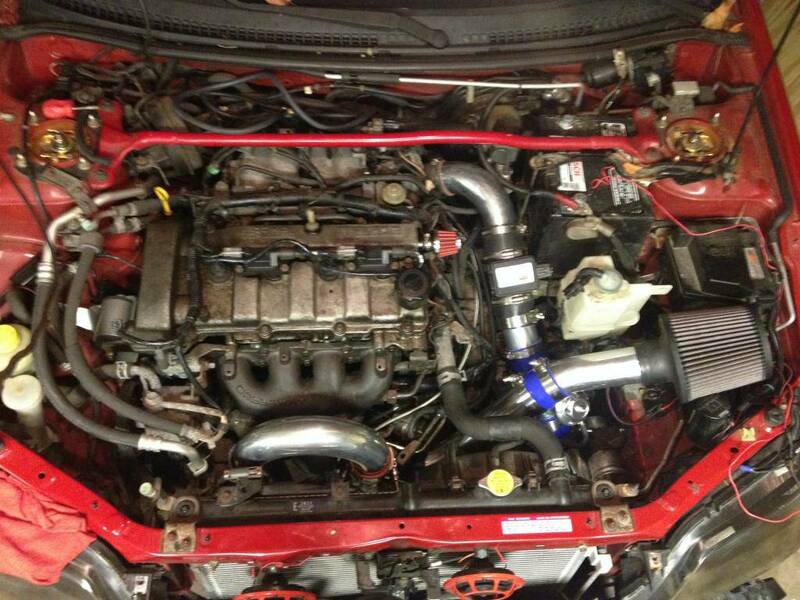 The seller links a build thread on a Mazda specific forum on the build that was started in 2012. The stock MS Protege ECU tune left a lot to be desired so it is good that a new SSAFC V2 air fuel controller is included in the sale. Recent service in the last six months included: slave cylinder, throw out bearing, wheel bearings, and oil change. The issues that need attention are an oil leak from the pan, boost leak from the blow off valve, and the clutch is on its last legs (new one included in sale). The mods to the car other than the engine are almost too numerous to list. In a nutshell, the car has a worked over suspension, big sound system, a lot more gauges, two sets of wheels, and HID lighting. Cory is waiting on the Dent Eraser to work his magic on his 1995 Mercedes C36 AMG. 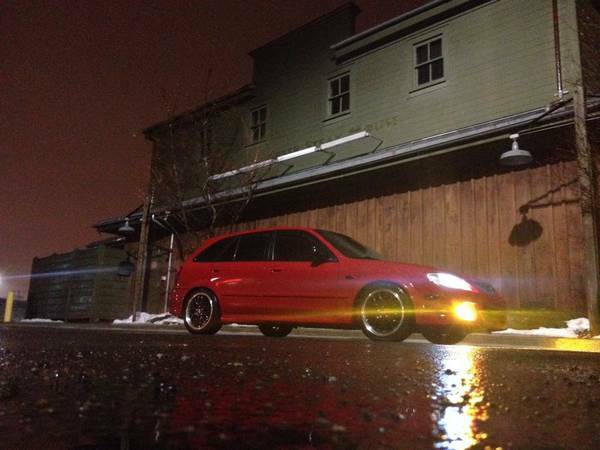 "Last week's Sunday piece featured a unusually clean Mazdaspeed Protege. In the comments, it was bemoaned that Mazda never saw fit to give the Mazdaspeed treatment to the Protege 5 wagon." Actually, I think it's interesting that Mazda chose to do the Mazdaspeed treatment on the 5 door 3 rather than the stronger-selling 3 sedan. They must've heard from Mazda enthusiasts about the perceived gaffe re: the Mazdaspeed Protege. Yes, this. I always assumed the same thing, given Mazda's (well-deserved) rep as the Driver's Car Company. Ask Dave Coleman which body style should be hoonified and I would lay 10:1 that his answer rhymes with "magon". The Mazdaspeed Protege was a funny project - I wasn't involved directly but upon joining a certain manufacturer of spinning boost machinery shortly thereafter, I learned how it was a kind of post-production effort between Mazda and my employer. They took finished cars off the line and added a turbo kit, essentially, but sold them through Mazda dealers with a warranty. Kind of like Roush or Saleen tuner agreements through Ford. Interesting stuff. We weren't involved in the subsequent Miata but it's cool to know some insider history on the first Mazdaspeed project. If anyone buys this, send me a message, and I'll help figure out what's going on with the pile of parts in that last pic. Why would you change the throw out bearing and not do the clutch at the same time? The car is apart and you are only a few bolts away from having a new clutch.